Rob MacPherson is a nationally recognised leader in the fields of whole body health, nutrition, and functional and integrative medicine. He is a director and co founder of The Body Genius Institute. Rob is fast becoming a leader in complex chronic illnesses which require meticulous investigation and management. He has been studying and practicing integrative and functional medicine for over 15 years. Qualifications include AHHP: Holistic Health Practitioner at the Chek Institute in Carlsbad, CA, USA and has been personally coached and mentored by world-renowned healer and educator Paul Chek. Rob is currently studying Functional & Evolutionary Medicine at the Kresser Institute, las Vegas, Nevada. Rob works with patients from a functional medicine perspective. He uses lab testing and a thorough intake process to uncover the underlying causes of disease, and integrates diet, natural supplementation and lifestyle changes to address them. Rob began studying functional medicine after becoming frustrated with the conventional healthcare model in diagnosing and treating some of his own health issues. This experience brought to light the importance of diet and lifestyle, as well as the need for a more holistic and integrative approach to support health and wellbeing. Rob was born and raised in Perth, Western Australia. At the age of 7 his family relocated to the Canterbury district in New Zealand where he spent the next 12 years. During this time Rob developed a passion for rugby and swimming. Ever curious, he was always outside in nature and being active. Rob drew his values from his grand father, a strong male role model in every sense of the word, that taught him from a young age the foundations of paddock to plate eating. The majority of food being sourced directly from the paddock, the vegetable garden or orchards. Fond memories of the shed brimming with fermented foods including wild caught salmon, pickled vegetables, jams, tomato sauce which were used during the cold winter months still linger today. A natural athlete, Rob found his strengths in Rugby and excelled, representing his school’s first XV and his district for all age groups. His passion for rugby burns deep to this day with plans to coach 2018. Upon returning to Australia as a 19 year old Rob encountered problems with his own gut health. The change in climate and the change in quality of food sparked Rob’s passion to understand why he was feeling the way he was. Chronic fatigue, changes in body composition and mental alertness lead him to Paul Chek from the Chek Institute. Attaining an accreditation as a Holistic Health Practitioner Rob channeled his attention to soil, farming both organic and commercial and the effects this was having directly with our local health epidemic. Rob went on to work closely with Paul for 2 years and gained a wealth of knowledge and insight. Rob rates Paul Chek as one of the world’s most influential authorities in the health and wellness industry and a leader in reversing and preventing chronic illnesses. With this wealth of knowledge firmly grounded, his attention moved to functional medicine within the kresser institute lead by world renowned leader Chris Kresser. This education and experience has guided Rob to work with extremely chronic cases including digestive disorders, auto immune diseases, HPA axis dysregulation including chronic fatigue and thyroid issues, cholesterol and heart disease including high blood pressure, anxiety and depression, chronic skin conditions as well as fungal and parasitic infections. This blend of world renowned expert experience has given Rob the science as well as the art to create a truly holistic approach to health and wellbeing. “The medical practitioner of the future will interest his patients in the care of the human frame, diet and in the cause and prevention of disease. Rob’s purpose is to build a new healthcare model. With his unique ability to innovate, he intends to create a model that is patient focused putting an end to chronic disease. The Body Genius Institute being the vehicle to get us there. Steve was born in Kitchener, Ontario, Canada where he lived the first 26 years of his life. For the majority of his childhood and adolescence he participated in a wide range of sports including ice hockey, baseball, and track and field. His true passion was for hockey and he competed successfully at the highest levels for his age into his teenage years. and a second major degree in Geography. While completing these degrees he also played hockey for WLU and competed in regional and state-level ‘body-to-weight’ powerlifting competitions. 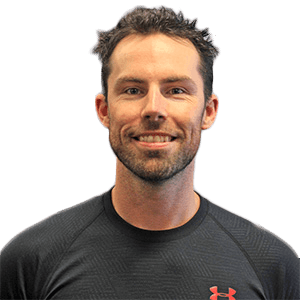 For the next two years Steve utilized his skills as an Exercise Physiologist, Personal Trainer and qualified strength and conditioning coach to help elite level athletes excel in their chosen sports. At the age of 26, Steve accepted an offer to attend Curtin University in Western Australia to undertake a Bachelor of Science degree in Physiotherapy, which he completed in 2000. Steve’s unique skill set allowed him to offer a holistic approach to his clients that often focused on health, nutrition, movement, hands-on therapy, and performance-driven outcomes. During the first six years of practice, Steve also worked as a senior lecturer at the Australian Institute of Fitness speaking on a range of subjects including nutrition, strength and sports conditioning, and rehabilitation. After the successful completion of his physiotherapy degree in 2000, Steve resumed his competitive sporting career by participating in Inline Hockey. He represented Western Australia at the national Inline Hockey championships in 2001, 2003, 2005, 2009, 2011 and represented Australia at the World Inline Hockey Championships in 2002 and 2004. Steve continues to passionately build the Body Genius Institute and provide world-class products and services to their clients. He continues to chase his personal best record of 40 chin-ups in a row and is attempting to regain his skills on a skateboard so he can keep pace with his 4-year-old son. Steve has a wonderful family that includes his wife Max, son Ryder, daughter Sienna and dog Austen. Steve loves to spend time with his family at the beach, in the ocean, at the park, going on adventures, exploring nature and at the skate park with his son. As a family, they love to travel and have enjoyed time in Canada, the UK, Israel, Japan, Indonesia, Hawaii, and specific locations throughout Australia. As a family, they are learning to grow their own food and to uphold their family values of sustaining mental, emotional, physical and spiritual health. Michael was born and raised near Stuttgart in Southern Germany. Throughout his childhood and adolescence, he participated in a wide range of sports and activities ranging from handball, athletics, boxing and cross-country mountain biking, to martial arts. It was likely this early participation that would later spur his passion for studying health, movement and high performance. From a very young age, Michael can remember being fascinated by the human body. He loved his old-school muscle magazines that featured legends like Reg Park, Arnold Schwarzenegger, and Serge Oliva. He read superhero cartoons and marvelled at their physical features and athletic abilities. As a sporty kid, Michael was always involved in a variety of team and individual sports ranging from athletics and team handball to martial arts. During his late teens, he discovered his passion for health and fitness and at the age of 20, started to work as a gym instructor in his hometown of SCHWÄBISCH GMÜND. Michael completed his primary and secondary education in Germany. However, he went on to complete his tertiary education in both Sweden and Australia. As Michael reflects on this time, he remembers that it was likely the campus director of his personal training school that inspired him to become a chiropractor. This instructor had an amazing knowledge of the human body, performance training, and nutrition. And from that moment he knew that he wanted to obtain that same level of knowledge and expertise. It was this encounter that started his journey and has ultimately guided him down the path of becoming a health professional. Michael began his tertiary studies in Stockholm, Sweden, undertaking a Doctor of Chiropractic degree at the Scandinavian College of Chiropractic. Later, in 2001, he relocated to Sydney Australia to complete his undergraduate studies. 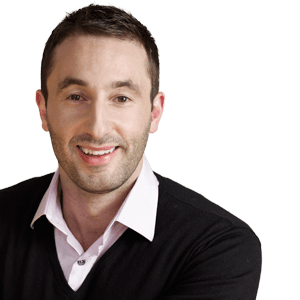 He completed his bachelor’s degree in 2002, and then progressed to complete his postgraduate studies (Master of Chiropractic) in 2004, graduating from Macquarie University in Sydney. Fuelled with passion and armed with a wealth of knowledge and talent, Michael began his clinical practice in Sydney and later relocated to the largest multi-disciplinary Chiropractic practice in Tasmania.This has presented Michael with a unique opportunity to work with a range of elite level athletes and health challenges across a wide-range of disciplines including powerlifting, bodybuilding, strongman, crossfit, tennis, athletics, track and field, and boxing. As an authority figure within the health and wellness field, Michael consistently supports the sporting community at events. Lecturing to health and wellness and sporting groups and organizations; speaking on a wide-range of topics including nutrition for optimal performance, holistic healing, and the importance of mental, emotional, physical and spiritual health. Michael has also served as team Chiropractor for the female IPF (International Powerlifting Federation) national team, the Tasmanian state AFL league, and both state and national level soccer teams. He has also provided chiropractic care at big international sporting events such as world championships, world masters games, and the world Police and Firefighter games. Since relocating his family to WA, Michael has joined the Body Genius Institute team, bringing with him over two-decades of wisdom and experience!Michael is passionate about his work and loves helping people to achieve optimal health and wellbeing. He sees himself as a ‘Coach’ and ‘Mentor’ and utilizes all of the skills and knowledge he has accumulated over the last 20 years to help his clients succeed. One of Michael’s goals is to provide chiropractic care for the athletes at the next Olympics in Tokyo, 2020.Michael is a family man and loves spending time with his family; wife Kate, daughter Anais and his French bulldog ‘Winston.’ He is an avid traveller, loves to train, consumes non-fiction literature like water and drives around the city listening to educational podcasts. It’s worth noting that he often listens to these podcasts at double speed to get through them more quickly. 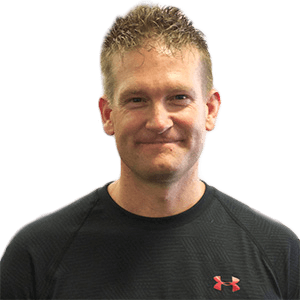 From an athletic point of view, Michael has extensive experience designing strength programs for athletes, designing nutritional plans, and performing functional diagnostic lab testing to identify the underlying causes of poor health and enhance peak performance. Aaron was born and raised in Geelong, Victoria and left when he was just seven years old. He then drove across the Nullarbor with his mom to reside in Western Australia. Throughout his childhood and adolescence, he participated in a wide range of sports and activities ranging from cricket to athletics and squash. It was likely this early participation that would later spur his passion for studying human movement and pursuing a career in health, movement and high performance. Represented Christ Church Grammar school in athletics for the 100m, 200m, 400m, long jump, and triple jump. After completing his schooling at Christ Church Grammar school, Aaron went on to complete a Bachelor Degree in Exercise Science at Edith Cowan University in Western Australia (2010), and then furthering his studies by completing a Masters in Science (Strength and Conditioning) in 2011. With over a decade of academic and practical experience, Aaron has accumulated a wealth of knowledge. Beyond his passion for his career, Aaron has a beautiful family that includes his wife Pia and his little boy, Max. Aaron loves the soft sand of the beach, immersing himself in nature, and grounding himself through connections with family and friends. He enjoys being athletic, meditation and relaxing with a good book. His favourite podcasts include Tim Ferriss, the Joe Rogan Experience, and Chris Kresser. Moving forwards, he would like to explore Colour Therapy for adults and progressing towards attaining his Level 6 ELDOA qualifications. Michael was born in Townsville, Queensland and was raised by his father Graham who was in the army, and his mother Christine, who was a nurse. Michael has two brothers and one sister. After moving to Western Australia, Michael attended primary and secondary school in the Wheatbelt. Michael has always enjoyed physical fitness and sports from a very young age. He can remember his mother coming down to the school playground in primary school to collect him because he would finish school and then go run laps or do chin-ups until sunset. In his adolescence, Michael played basketball, loved BMX and took up boxing. Although Michael was never the fastest sprinter in school, always finishing third, he was unbeatable in the longer distances. He trained seriously for distance running through high school and scored well enough in the government program “Talent search for 2000” to be invited to WAIS for specialized testing. Just after the invitation, Michael had a serious BMX accident and crushed his right shoulder landing head first from a substantial height. He sustained multiple fractures in his neck, ribs, and clavicle, requiring surgery to insert pins and steel rods. After the surgery, Michael worked hard to recover from his injuries. Regaining his strength and fitness, he became even more focused on his running training. Being a country kid with no coach, Michael simply trained as hard as he could. However, his intense motivation and determination to win proved to be his downfall. He trained through sickness and glandular fever, and yet he kept going. He pushed on until finally one day he could barely get out of bed and walk 10 steps. The country doctors could not determine what was going on and Michael quickly became housebound. At the time, Michael was in year 10. He was unable to finish school, lost all of his friends and could no longer participate in the sport he loved. Finally, a specialist in Perth diagnosed Michael with Chronic Fatigue Syndrome (CFS) and he was housebound and unwell for three years. Slowly the illness began to fade, however Michael had deconditioned to the point where he could only perform small physical efforts before being exhausted for days. He started his rehabilitation by walking to the letter box, then to the corner, and finally around the block. It was a long journey, but he rebuilt his physical fitness and vitality. As a part of his rehabilitation, Michael began lifting weights to regain his strength, muscle mass and to allow him to exert himself to a far greater extent. In 2005 Michael began to study at the Australian Institute of Fitness (AIF) to become a personal trainer. Upon qualifying, he began a career as a personal trainer and worked at numerous locations throughout Perth. In 2007, Michael’s life changed forever when his beautiful daughter, Isabella Jane Gordon, was born. The birth of his daughter inspired Michael to reflect upon his life and created an intense desire to improve the quality of his life and provide the opportunities to Isabella that he did not have as a child. In 2008, Michael was introduced to Christopher Borrel Ducroz and joined him in East Perth at his boutique studio. At this time, Michael began to focus more on clients who were suffering from ill-health, pain and/or injuries. Michael found that his struggle through chronic disease provided him with a unique insight into their challenges and allowed him to empathize and offer guidance. It was clear at this time that Michael had a unique ability to connect with people and motivate them to overcome ill-health and injury. This form of work gave him great satisfaction. Michael never lost his love for athletics and continued to train himself and work successfully with competitive athletes. His list of clientele included world-class ballet dancers, sprint cyclists, triathletes, powerlifters, and bodybuilders. For the second time in his life, Michael would find himself facing a serious health condition. He contracted viral meningitis and began to experience the most excruciating pain imaginable in his head, neck, lower back and hips. As a side effect of the disease he also suffered liver damage and pituitary failure leading to hormone imbalances. Several months later, Michael was still experiencing pain in his lower back and hips. After multiple trips to the emergency room he was referred to a pain clinic. He was prescribed strong opiate-based drugs, Lyrica, Buprenorphine and the strongest pain-killers. The effects were negligible and he continued to suffer. Despite the pain health issues, Michael was determined to regain his health and improve his life to provide Isabella with the strong role model and opportunities she deserved. Michael began to train his body every day, often including Isabella in his workouts and using her for resistance. He sat the STAT test and applied to Curtin University for Physiotherapy. In 2011, his efforts paid off and he was accepted into the Curtin physiotherapy program. When compared to the other students, Michael could clearly see that he was at a different point in life. At 30-years-old he was the oldest student in the class, he had a daughter, a mortgage and a full-time personal training business. Adding to the challenge, he continued to suffer from intense pain and often turned up to lectures or practical sessions directly from the emergency department. Despite these challenges he persevered and completed a Bachelor of Science degree in physiotherapy. In 2015 Michael married his amazing wife Tiana who is a clinical psychologist. In November of this year he graduated from Curtin University and began his career as a physiotherapist. Michael was able to apply all the skills he had learned from running a highly-successful personal training business along with his knowledge and experience from being a competitive athlete to help his clients overcome their specific challenges. He also realized that despite the extensive health challenges he had faced, these experiences had provided him with some great insight into the mental and emotional challenges people go through when they are in pain or have debilitating injuries. This allowed Michael to connect more deeply with clients and demonstrate compassion and empathy. In 2017 Michael’s body and mind had finally had enough of the medications, specialist appointments and conflicting medical management he was receiving. He could clearly see that this medical model was not taking a holistic approach to his care and not providing any long-term solutions. He knew that he had reached a point where the only way to get better was to withdraw from the medical system and get off all the toxic, addictive and mind-altering medications. After eight years of consistently being medicated, weaning off the drugs proved to be an excruciating experience. During this process, Michael focused extensively on a wholefood diet, quality sleeping patterns, mental and emotional well-being, and living to his fullest potential. His commitment paid off and by the end of the year he was feeling significantly better. There seemed to be a turning point to start this year. Michael had created a life of balance and happiness, his symptoms were minimal and manageable without medication and he could focus on the things in life that meant the most – his wife, his daughter, his own happiness and his love for helping other people to achieve their goals. Michael went in search of a job in which he could share his unique knowledge and experience and take a truly holistic approach to his clinical practice. He knew there must be other people out there that were experiencing the same challenges he had; stuck in a medical system that was symptom-based and seemingly with no way out. And he knew they could use his help. An extensive search for a truly holistic practice lead Michael to apply for a role at The Body Genius Institute where he was successful in securing a role as ‘Pain and Dysfunction’ practitioner – an opportunity that allows him to work as part of a holistic healthcare team and to utilize all of the knowledge, skills and experience he has gained throughout his life. Jarrod was born in Perth and was raised on a small property in Dongara from the age of 10 before returning to Perth in his early twenties. Jarrod’s parents grew up following basic health principles and fundamentals and instilled these in their kids from a very young age. Food was always of the highest quality and prepared traditionally, no microwave, minimally processed foods, lots of fresh fruit, veggies and quality meat. Jarrod has always had a passion for natural medicine, with much of this influence stemming from his mother from a young age. Jarrod recalls visiting natural health practitioners as some of his very early memories and using this holistic healthcare model to restore his own health. Jarrod has always been an active person and grew up playing numerous sports such as AFL, cricket, basketball and volleyball. Overall Jarrod’s health was very good throughout his childhood and adolescence, likely due to the strong foundational health principles instilled by his parents. As a young adult, he did suffer from some skin issues which were treated naturally. Originally, he was diagnosed with psoriasis and told to use steroid cream and that he would always have this condition. However, this didn’t sit right with him and he went to see his natural health practitioner who addressed his gut and corrected a malfunctioning duodenum. The skin issues cleared up in a matter of weeks and never returned. Over the years, Jarrod suffered from anxiety which he was able to control by improving the basic principles of health – diet, sleeping patterns, movement, stress – and through these efforts the issue was manageable and well-hidden. Later in life, a big shift came after genetic testing which lead to correcting methylation and addressing mineral and neurotransmitter imbalances. Jarrod has always been an ambitious person who strives for excellence. Professionally, Jarrod set up, operated, and grew a recruitment agency from scratch to 12 direct employees and an annual turnover of five (5) million. As you can imagine, this took an unwavering commitment, dedicated effort and provided Jarrod with many learnings. Jarrod found that this industry and business can be very stressful and it certainly took a significant toll on his health and relationships. Since coming out of this environment, Jarrod has been able to follow his passion for health and wellbeing and build a career in holistic health and healing. This is certainly something he never thought was possible while caught up in the fast-paced and highly-stressful world of business and recruitment. He is much happier and healthier now as he pursues his dreams and passion. Jarrod is in a committed relationship with his partner Gemma and together they have three children. He enjoys the beach, bodyboarding, tennis, qi gong, yoga, scuba diving, fishing, camping and the great outdoors. Professionally, Jarrod has a passion for health and loves to share his knowledge and experience in this area. He gets excited about the difference he can make by facilitating change in the lives of individuals and seeing the happiness it can bring to both the individual and their family. 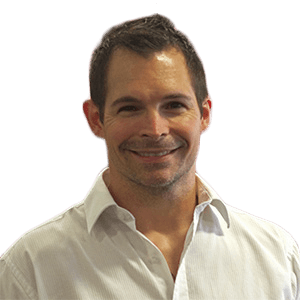 Jarrod is a well-accomplished integrative health practitioner with a strong emphasis on balancing the body chemistry and returning it to alignment and away from disease. 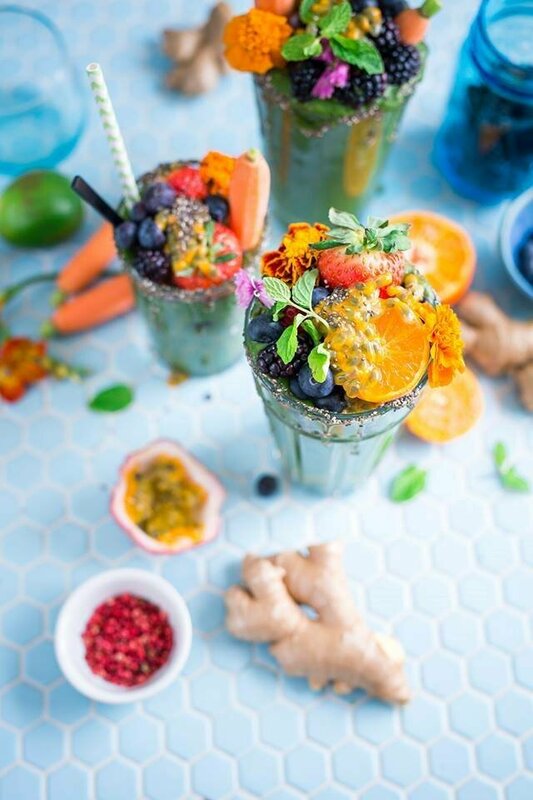 He has an accomplished background in functional medicine, naturopathy, herbal medicine, mineral analysis, energetic medicine and nutrition and uses these skills in conjunction with functional laboratory testing to treat a wide range of chronic illnesses. Jarrod is a member of the Australian Natural Therapies Association (ANTA) and holds a Bachelor of Science in Naturopathy. He has also undertaken numerous courses through the CHEK Institute in the USA including the level 2 Holistic Lifestyle Coaching qualification. Jarrod has undertaken training with Dr Ben Lynch on methylation and the biochemical pathways of the body and is continually advancing his education in these and other areas. Jarrod’s specialties include treating clients with thyroid conditions, adrenal fatigue, anxiety and mood disorders, pyrrole disorder, gut infections, heavy metal toxicity, skin conditions and a range of other chronic conditions. Jarrod uses his refined consultation and assessment skills in conjunction with specific functional laboratory testing to help uncover and treat the root cause of disease. Jarrod adopts the simple philosophy that a healthy mind and body must be achieved through adequate and educated attention to eating, sleeping, moving and thinking well. These are basic fundamentals of life that we can all stray from when things get tough. Jarrod can assess your lifestyle, recommend a range of diet and lifestyle modifications and prescribe a targeted treatment protocol to address any imbalances or health problems you may be facing.